We were asked to produce a lightbox rebranding for Claremont Kebabs recently, and turn it around extremely quickly, as the original sign had been damaged by a truck. We were only too happy to help. Using 4.5mm opal acrylic, we digitally printed the face of the six metre long sign, and as you can see it stands out both night and day. 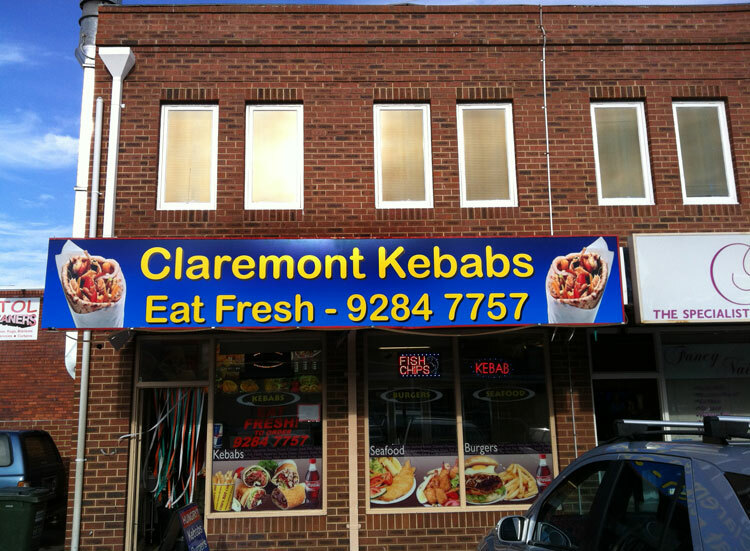 Claremont Kebabs is over the moon with their new sign, something we at Perth Graphics Centre are very happy about. If you have a lightbox or indeed require any signage at all, then head to our contact page and send us an email, or call us on 9248 6226.